Things I Love: Holy cow! Voice to text really works!!! So I wanted to see if I could really write a blog entry using iPhone voice to text technology. This entry is composed completely via my voice and not typing a single thing on a keyboard. Pretty much, I’m living in the future and anyone still using a keyboard to type is living in the past. However, it’s not as easy to talk versus write for a writer. There’s something completely organizational about typing and putting things down on paper or on text format versus speaking. That’s all I’ve got for now. If you are a writer and have an iPhone or I assume an iPad 2 or 3 has the same technology, try it. I never realized what that little microphone symbol was on the iPhone keyboard right down near the spacebar. On occasion I’ve bumped it with my thumb and didn’t know what it was prompting me to do. 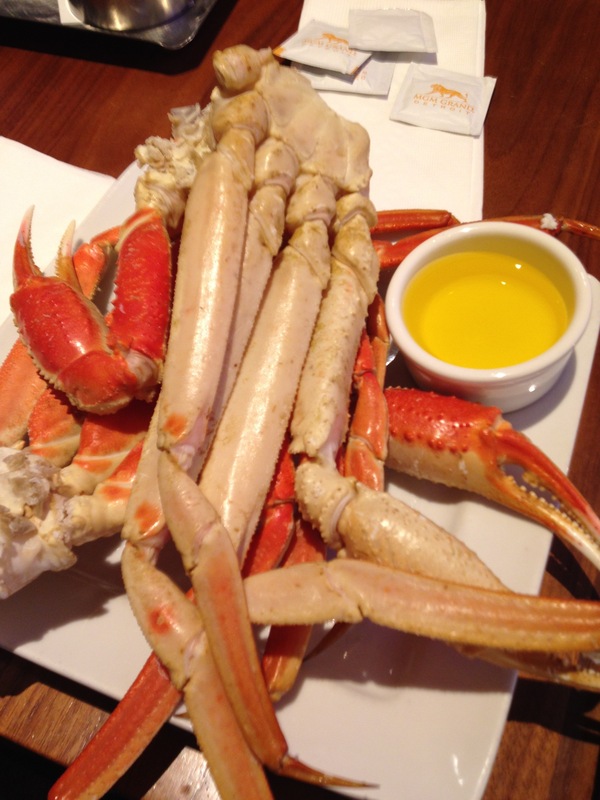 Oh, and here’s a picture of the final present of I Love Don Week, which was an all you can eat crab leg pig-out session with my dad on our birthday. Thanks, Dad!